Recruitment for a new Assistant Deputy Minister to lead Justice Services is underway. This process is expected to be completed by April, 2011. The belief is that this will position Alberta to achieve its goal of leading the most innovative and accessible justice system in Canada, as well as having communities that are among the safest in the world. Catherine A. Brown is being honoured by the Canadian Bar Association and the Law Society of Alberta for Distinguished Service in Legal Scholarship. Catherine has been a LESA board member since the fall of 2008. The 2011 Distinguished Service Awards luncheon will occur tomorrow, Friday, January 28th, 2011 at the Alberta Law Conference at the Fairmont Hotel Macdonald in Edmonton, Alberta. And while you’re there…stop by and check out the LESA booth for a chance to win a complimentary 1-day registration in a program of your choice! Email negotiations often feel difficult, especially with people we don’t know well. When Naquin et al. (2008) compared them with face-to-face negotiations, they found that people were less co-operative over email and even felt more justified in being less co-operative. Another reason negotiations can be difficult over email is that when negotiating with a stranger, because email is so short and to-the-point, there is little or no rapport to fall back on. So if negotiations hit a problem, they can quickly fall apart. Morris et al. (2002) have found that even a single telephone call can create enough good feeling between the parties to bridge the rapport gap. If you want to enhance your negotiation skills consider attending LESA’s Gain the Edge! Negotiation Strategies for Lawyers in Edmonton on February 23, 2011 and in Calgary on February 24, 2011. This program features national negotiation expert and author Martin E. Latz. For more details click on the link above. If you are like some of us at LESA, the innovations of technology continue to inspire, boggle the mind and allow for new growth opportunities – all at the same time! This rings true with the development and growing use of the Quick Response (QR) code. If you are a smart phone user, you may have heard of these and used them to your benefit already. Or perhaps, you’ve seen the pixelated graphic in print media and wondered what it was and how it was used. Smart phones cameras capture/scan the image to retrieve embedded information within the QR code–information including URLs, video, imagery and audio. Some user have included a QR code on their business cards, whereby a scanner can link to a CV or website. If used within your practice, this could potentially allow your clients to find you and your firm faster. Google is now using QR codes to promote their Google Pace Pages project by sending codes to businesses identified as being top searches on Google Maps. By calling attention to the business as being a Google Favourite Place, the business wins by gaining recognition. The user benefits by being able to pull up the ‘place page’ for information including videos, photos, nearby transit, and patron reviews. Good information faster – now that is inspiring! 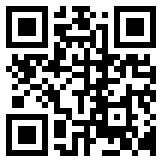 Watch for a follow-up post, “The QR Code – How to Capture”. LESA welcomes new Associate Director of Educational Resources, Christine Hunter to the team. We sat down with Christine to share with you a little about who she is, where she comes from, and what drives her ambitious spirit. Christine, please share with us a bit about your background. Education, family, work? I attended the University of Alberta where, after a semester abroad at the University of Edinburgh in Scotland, I received my Bachelor of Commerce. I went east to Queen’s for my first year of law school but returned to the U of A to finish my law degree. Following this, I clerked at the Court of Queen’s Bench of Alberta, in Calgary, and was hired as an associate at a large, national firm focusing on Commercial Real Estate. After two years of private practice, I decided to continue with my education and moved to New York City to obtain my Master of Laws at Columbia University. I have now happily moved into my role at LESA and am excited for this new challenge. I relocated to Edmonton when my partner, Adam, also a lawyer, found a new job in the city. We recently purchased a home and I am immersed in the decorating process! I am most influenced by the people who work around me – knowing that I’m part of a dedicated team just motivates me to achieve as much as I can. What led you to pursue a career in the legal profession? I was always interested in education and business and originally chose to attend business school. I wasn’t sure where I wanted to head after my business degree but I knew I wanted to continue with my own education. Law school seemed like the natural progression as it gave me the opportunity to do exactly what I wanted – researching, writing and learning as much as I can about a number of subject areas. Now that it has led me down an education path, I couldn’t be more thrilled. You seem to be an ambitious and driven individual – what motivates you? I have always been a classic ‘first-born child’ and motivated by the desire to do the best job at whatever position I am in. Ensuring that the people I’m working for are getting everything that I can possibly provide is a huge motivating factor for me. It is that time of year when legal commentators look forward to changes. Popular themes on various blogs include greater outsourcing of legal services, alternative billing practices, and law firms leveraging social media to connect with clients. In Alberta, the profession is becoming accustomed to practice under the new Rules of Court. In case you missed out on our live programming, we will continue to offer online self-study modules. There are significant changes in trust accounting rules from the Law Society of Alberta. Bill 21: Wills and Succession Act passed this fall in the Alberta Legislative Assembly. This statute will consolidate and modernize succession law in Alberta. It is expected to be proclaimed January 1, 2012. As always, the Legal Education Society of Alberta will be there to help you with these developments with program offerings including an online self-study module on the new safety of trust funds initiative. Additionally, we are providing a full day of live programming on April 30th, 2011 on the new Wills and Succession Act. This will offered alongside the 44th Annual Refresher Course in Wills & Estates, and will take place in Lake Louise. We wish you much growth and prosperity in the coming year! Please note: our office will be closed for the holidays beginning at noon on December 24th, 2010. We will return on Tuesday, January 4th, 2011. From all of us at the Legal Education Society of Alberta, warm wishes to you and your families this holiday season! New Alberta Rules of Court – it’s not too late! Bonus: If you are a Transition Package holder, you automatically gain access to all of the Rules of Court online self-study modules AS WELL AS the New Alberta Rules of Court: Family Law Rules course. For more details visit our Rules of Court blog or contact Carolyn at carolyn.bernardin@lesa.org to register. The Canadian Law Blog Awards, known in the industry as the Clawbies, is quickly approaching! Begun in 2006, the Clawbies showcase the best of the best when it comes to blogging within the Canadian legal industry. With the intention of promoting a sense of community, increasing the accessibility of information, and of generating a global dialogue, blogging is now a part of the Legal Education Society of Alberta’s regular routine. As a blog taking its first steps, we eagerly await the New Year’s Eve announcement of which Canadian law blog takes home the award! Are you on our list? Sign up to stay up-to-date in your profession! In order to provide our customers with timely information on specific topics, we have created a permission based e-mail system. This will keep you current on upcoming seminars, discount offerings, relevant news, and other educational offerings. Categories include; Business Law, Civil Litigation, Criminal, Family, Real Estate, Support Staff, and Wills & Estates.